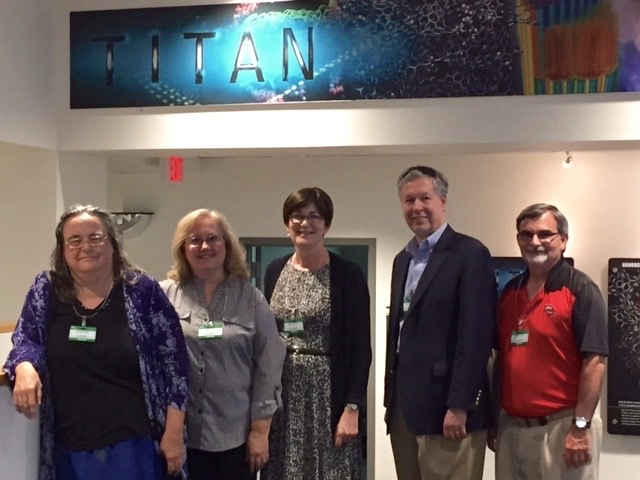 A group from WKU recently visited Oak Ridge National Laboratory. From left: Dr. Cate Webb, Dr. Cheryl Davis, Dr. Cheryl Stevens, Provost David Lee and Dr. Michael Carini. The agreement between WKU and UT-Battelle, which manages ORNL for the U.S. Department of Energy’s Office of Science, will provide new opportunities for research for faculty, said Dr. Cheryl Davis, Interim Associate Provost for Research and Creative Activity at WKU. Dr. Davis said the agreement was initiated by an ORNL researcher who had once been associated with WKU and was interested in seeking a joint appointment. ORNL has similar agreements with about 40 universities. 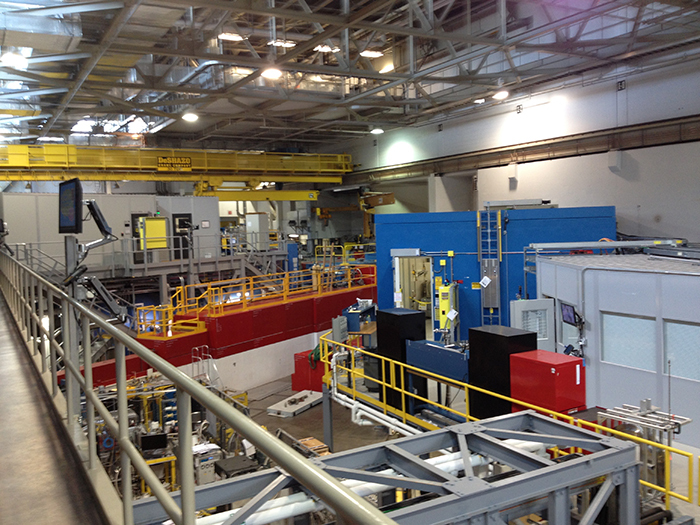 Joint appointments will allow WKU researchers and their students to use ORNL’s facilities. It will also allow ORNL researchers to come to campus and work alongside WKU students. A new joint faculty agreement will allow WKU researchers and their students to use facilities at Oak Ridge National Laboratory. Provost David Lee, who signed the agreement on behalf of WKU, said he was excited about the new partnership. “The joint faculty agreement will create some special opportunities for WKU faculty and students,” he said. Dr. Cate Webb, Associate Dean in the Ogden College of Science and Engineering, said WKU students and faculty have long benefited from ORNL’s extensive research facilities. WKU now houses the only publicly available large chamber scanning electron microscope in the United States, originally located at ORNL, in its NOVA Center in the Center for Research and Development. “This was a direct result of a visit of a faculty member in Physics and Astronomy with one of his research students to develop a research collaboration with a scientist at Oak Ridge,” Dr. Webb said. “Many Research I universities wanted to acquire the LC-SEM, which has been used to study such diverse objects as fossils, sports equipment, engine parts and turbine blades without destroying the sample. At ORNL, scientists and engineers conduct world-class research across a wide range of disciplines, including advanced materials science, clean energy, neutron science, nuclear science and supercomputing and computation. The DOE’s Office of Science is the single largest supporter of basic research in the physical sciences in the United States.